VietPress USA (Feb. 1st, 2019): President Trump always denies any ties between his 2016 campaign and Russians or Russia. But the special counsel Robert Mueller has investigated whether Russian probe colluded with U.S. 2016 election to help Donald Trump to win the Presidency. Almost Trump's 2016 campaign high rank people investigated by Robert Mueller and charged for their connections with Russia. 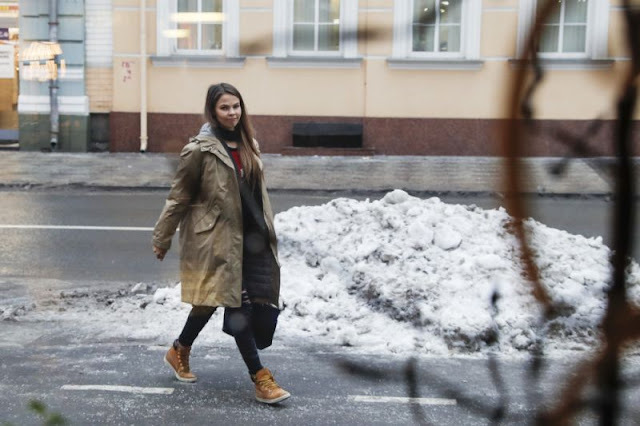 Today The Associated Press on Friday, Feb. 1st, 2019, interviewed the Belarusian Model Anastasia Vashukevich who claims to have information on ties between Russia and Donald Trump's election campaign. Anastasia Vashukevich told The Associated Press on Friday that she has turned that material over to Russian billionaire businessman Oleg Deripaska. MOSCOW (AP) — A Belarusian model who claims to have information on ties between Russia and Donald Trump's election campaign told The Associated Press on Friday that she has turned that material over to Russian billionaire businessman Oleg Deripaska. Around the time when she first publicly supported Russia, Vashukevich received a visit from Vladimir Pronin, Russia's newly appointed consul in Pattaya, who she said helped to improve prison conditions for her and the other inmates. She credited Pronin for securing her release from the Thai prison and her deportation in January. One video posted on her YouTube account showed a meeting between Deripaska and Adam Waldman, a U.S. lobbyist who has been working for Deripaska and who has had repeated meetings with WikiLeaks founder Julian Assange. The reported January 2017 meeting was several days before Waldman's visit to Assange at the Ecuadorian Embassy in London. The Democratic National Committee last year sued Trump's campaign, Russia and WikiLeaks, saying they conspired to cheat Democrats in the 2016 election. When asked Friday if the reports proving the Russian interference in the U.S. elections included recordings of Waldman, Prikhodko and Deripaska, the Belarusian woman said: "I didn't tell you that." "Things are so good right now, I don't want this to change," she said. "I don't want to have to have to compare the Russian prison to the Thai prison. I don't want any more trouble." Asked Friday if she was now the one being manipulated, she swore in English and asked "What do you do?"